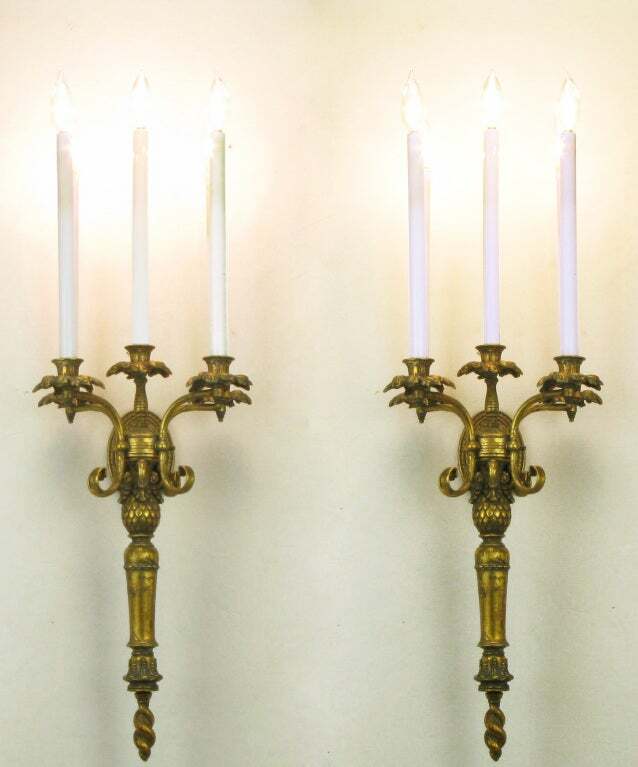 Pair of renaissance revival gilt metal five arm torchiere style sconces. 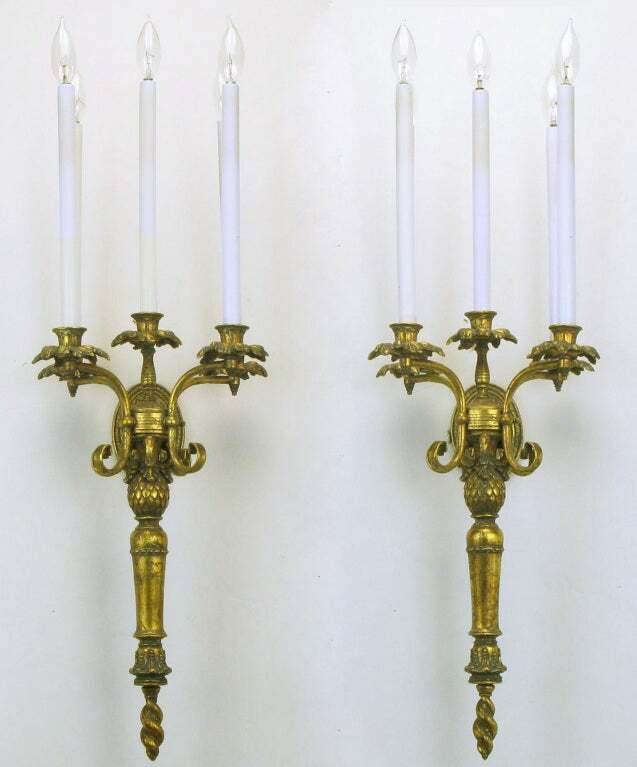 Oval back plate with center arm that extends to hold the torchiere with five foliate bobeche, candle holder, elongated sockets with white candle covers. Lower stem with pineapple detail and twisted finial. Very good vintage condition, normal wear commensurate with age and use. 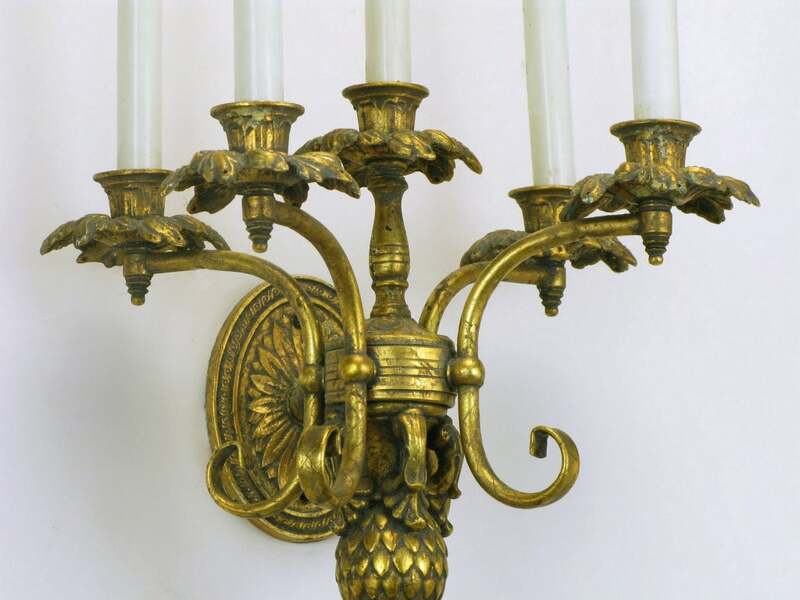 Italian tole metal and resin candelabra sconces with antiqued gilt finish. Looped candle holder arms and wheat stalks featured with centre vase. Second pair available. 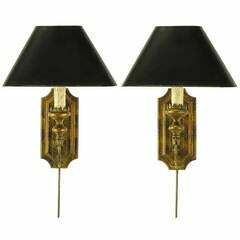 Pair of vintage art deco revival sconces by Lightolier. 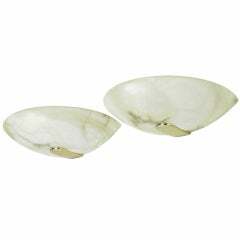 Nicely veined alabaster quarter round sconces with brass supports. Incandescent lighting element up to 75 watts max. Two pairs of English Renaissance Revival steel two-arm wall sconces with a centered griffin perched above a coat of arms (priced per pair) (early 20th century). 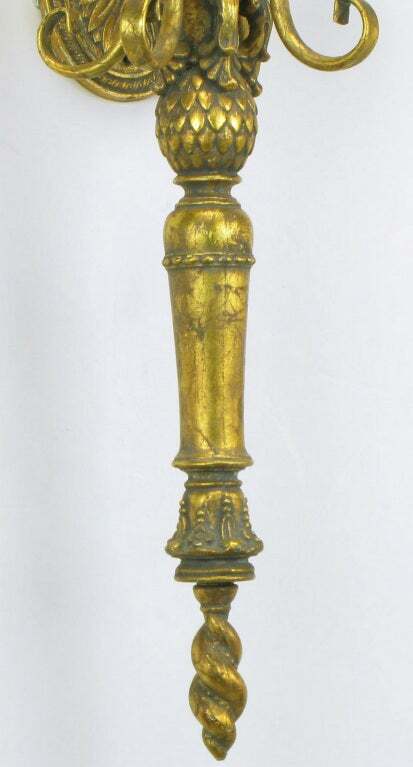 Gilt metal Empire sconces, two-arm, sold as a pair. 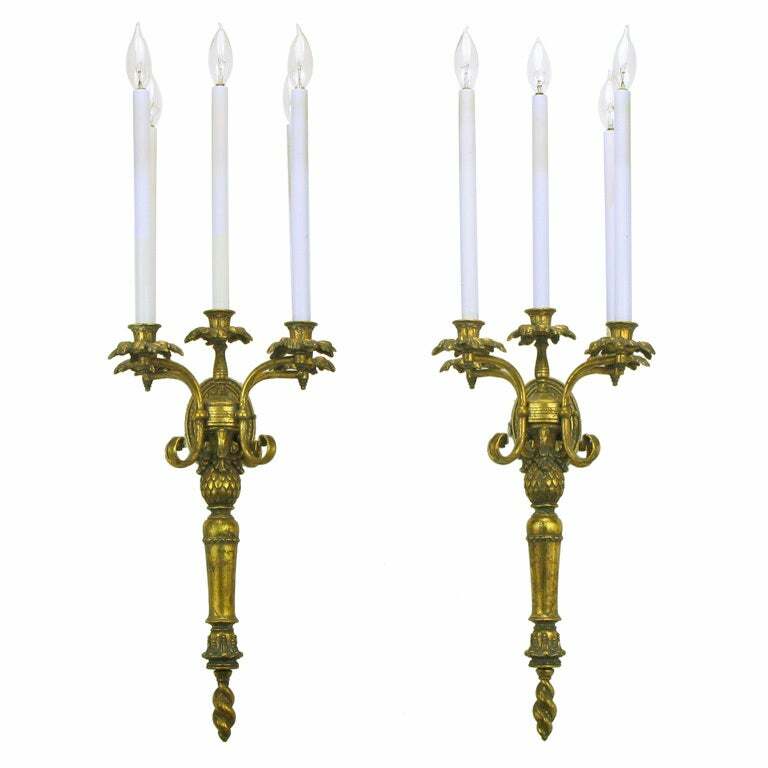 Measures: 11" W x 5" D x 16" T.
Pair of American Renaissance Revival style wrought iron wall sconces with double torch design arms and shaped backplate. 20th century. 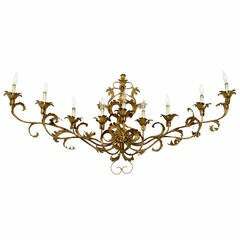 Two pairs of Italian 1940s gilt metal swing arm wall sconces with leaves cups hold a light with a shade (Per pair). 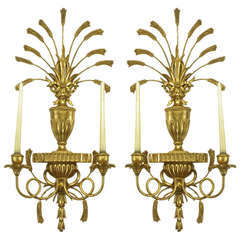 Pair of circa 1940s French gilt metal single light sconces. Single light behind the gilt acanthus leaf. Measurements: Height 14" Width 6" Depth 5".